Love coffee but care about the environment? Then you may have a dilemma. An estimated 60 billion paper cups in the U.S. end up in landfills every year because they can't be recycled easily. That includes cups sold by all major coffee chains. But Starbucks, the market leader, may have found a solution. A coffee cup is an environmental nightmare. Most are made from cardboard with a thin layer of plastic tightly attached to the cup. This keeps the drink warm and prevents the cardboard from becoming soggy. But it also makes the cup non-recyclable. It takes about 20 years for such a cup to decompose. Campaigners have long been pushing for retailers to start using more sustainable cups, or at least come clean about the impact their cups have on the environment. 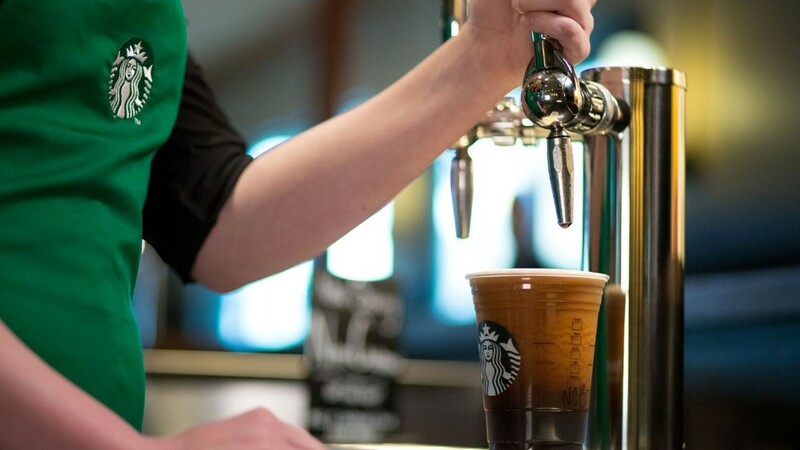 Several major chains in the U.K., including Starbucks (SBUX), McDonald's (MCD), KFC and Pret a Manger signed a "Paper Cup Manifesto" last month, pledging to step up efforts to boost recycling rates. On Wednesday, Starbucks agreed to take the issue further and test a new fully recyclable kind of coffee cup in the U.K. The cups are made from recycled paper by British packaging company Frugalpac, which pitched the idea to Starbucks. A plastic liner is only lightly bonded onto the paper after the cup's shape is formed. The design allows the plastic lining to be easily separated in a recycling plant -- the liner gets stuck in the filters, while the cardboard goes through and can be recycled and used again, up to seven times, mostly to print newspapers. The entrepreneur behind the Frugalpac cup design, Martin Myerscough, said people are often shocked to learn that existing paper cups are only used once and rarely get recycled. The perception is that because the cups are made mostly of paper, the material can be reused. "We really hope that Frugalpac becomes the standard in the industry so people can get on with enjoying their coffee without worrying about what damage the cup does to the environment afterwards," said Myerscough.